With a medal around my neck and a WMN RUN 100 wreathe on my chest, I sat down on the floor next to a pile of my own vomit, with a tingling nose, a delirious head, and, as I detected from the pained look on the medics face, a serious case of verbal diarrhoea coming from my mouth. 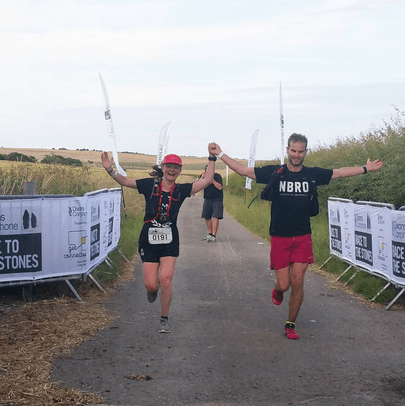 This year I reached the finish line of my second go at running 100 kilometres of Race to the Stones a little beaten by the summer sun, but happy. I felt contented by the knowledge that my I ran as hard as I could, satisfied in being the second lady over the line faster than my previous attempt, and whole-heartedly grateful that I could share the experience this time around with a bunch of bold, brave women. 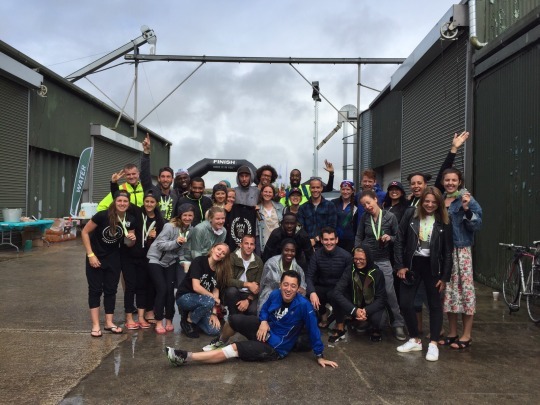 After putting my blistered feet into some sliders and shoveling a plate of plain rice into my mouth, I came back down to earth from a trip to la-la land and joined alongside those cheering the runners coming through to the finish. Standing bunched together, we spent the next five hours waiting in anticipation as our ladies finished their races, watching from dusk through to the moonlight, witnessing ecstatic faces, and elated tears. 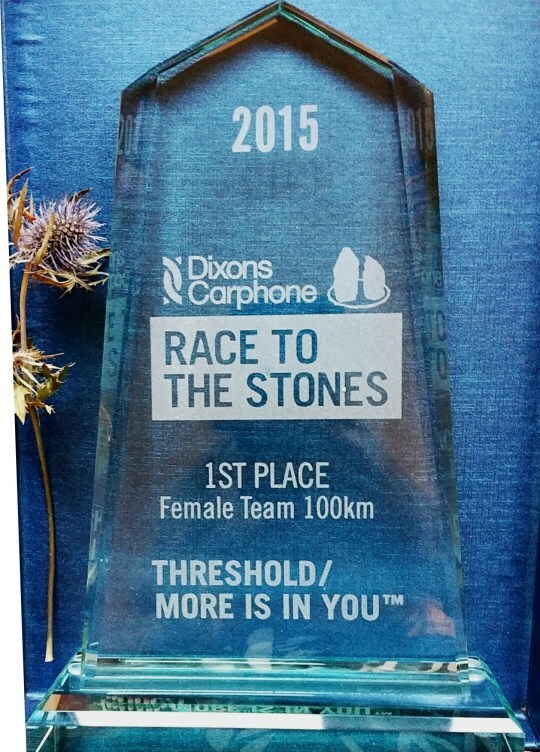 Little did we know at this point that our combined efforts secured our position as first placed female team. 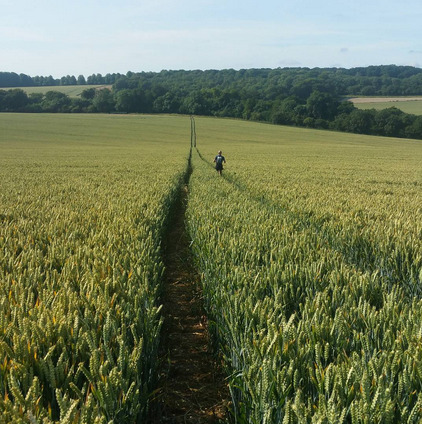 Racing was the goal for my legs again this year, but my reasons for taking myself to the path of the Ridgeway stretched much further than aiming for the numerical digit of a placing. 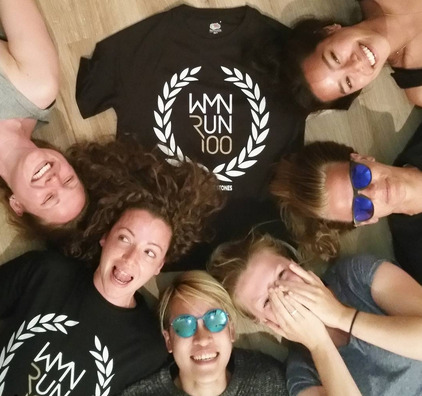 With the help of Cat Simpson, the kind, caring structure of generous support, and the dedicated will of the WMN RUN 100 ladies involved, I was able to witness what it’s like to plant a seed of curiosity, give it some water, and watch it blossom of its own accord. Growing into the realised capability of these women, different in their natures, abilities and backgrounds, yet joined together in a shared experience. 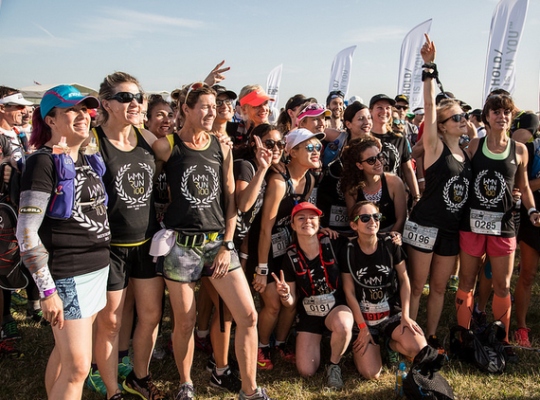 The project began with a want to level out the gender participation in endurance running, and, with this, I would have been happy with any rise in the numbers of women competing. Even if I could count this increase on one hand. 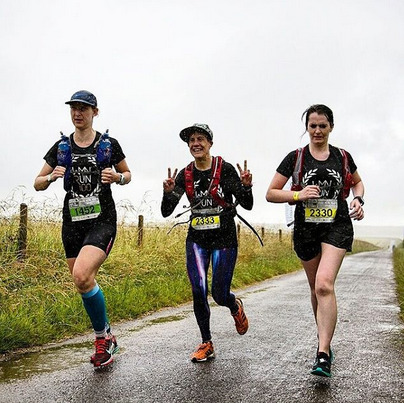 Ahead of many fears swallowed, and a number of months spent training, 52 ladies prepared themselves to run either 50k or 100k of the Ridgeway, each taking part in a field that had grown progressively from the 80 : 20 male to female ratio of the previous year, to 61 : 39. Progress. After the get go was given on the starting line, some set off by diving head first into the unknown, others ran with the bitter sweet knowledge of a route they had travelled previously, in pairs, groups, or even beginning alone to find themselves joined in new friendships. In our individual journeys, and in my mind, we each moved away from the restraint of constraints, through our own limitations, and towards a tree lined, grassy path of progress. 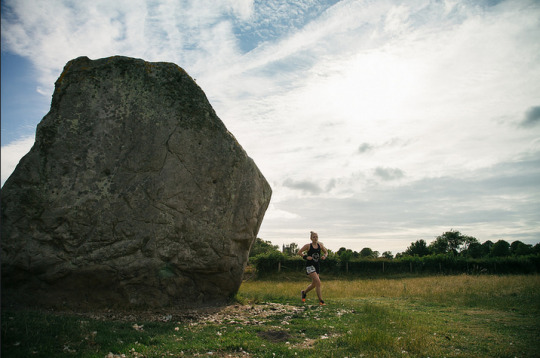 I took to the Ridgeway by myself, aware of the weight that I’d placed on my shoulders, understanding what it was I was running for, and what I wanted to achieve. I spent the first few miles passing to and from a handful of runners, including a couple of miles that were spent trading life stories with a gentleman called Tom. Rushing out of one of the earlier aid stations I was told I’d been overtaken by the second lady. Led with a want to see if I could catch up I came up to a woman called Sarah, realising that we’d met on the path of Country to Capital a few months earlier. For a little while we ran stride by stride, talking our way through the motion. We’d admittedly set out quite quick, and after a mile or so, Sarah acknowledged the pace was too fast, and that she might have to hang back. I found myself agreeing, although my admission was one that my body persisted in sticking to like glue. With a low five, and a well wish or two, it was clear she had put that doubt aside, and off she went. I continued on, and watched a chiselled calf, adorned with an Iron Man tattoo, plough strongly off into the distance. My legs ticked over, and whilst one goal wasn’t within reach that day, my mind felt motivated by watching another woman run boldly ahead. Appreciating that higher goals to aim for should be worked towards in life, not looked upon in comparative disdain. After the earlier pace, and eagerly (as well as stupidly) running a few hills, my legs began to tire at around 18 miles. With a long way to travel, this wasn’t exactly what I was hoping for. 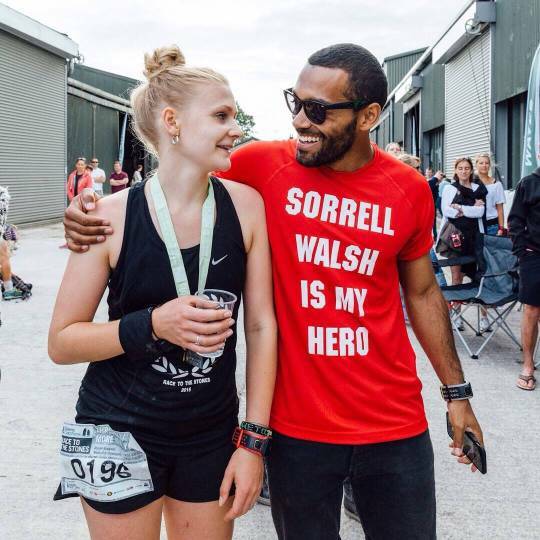 Frustrated, I wondered what I’d done to myself, though my mother’s stubborn genes soon dissolved this train of thought, forcing me to pull my metaphorical socks up, and get over the thoughts of thinking ahead to a DNF. With the typical mind games aside, I settled into a rhythm for the next 40 odd miles, running in my own company bar a few brief moments with a cyclist or walker here or there peppered along the course. I forced communication into thumbs up or hellos, looking for distraction in friendliness. I found both. Along with these moments of mental respite came the relief of seeing a little van shaped symbol of safety with the familiar face of my boyfriend, and friend My-ha every now and then. Joined in this selfless support were New York friends Fred and Sean, as their faces popped up randomly in fields, together with a camera, some encouragement, and even the shared cadence of a few strides alongside me. 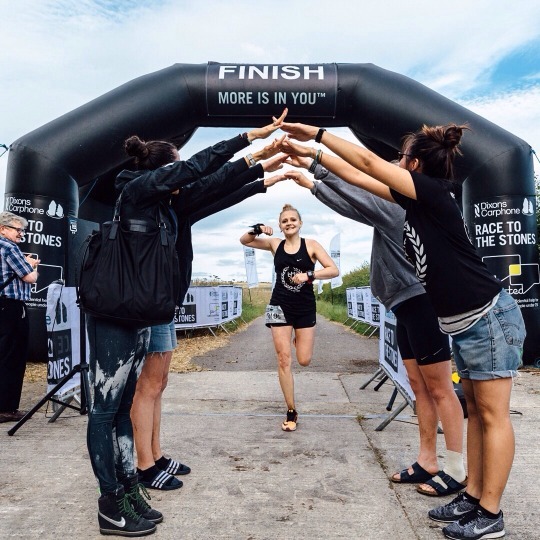 In endurance events it’s hard to understand what your body is saying, and what’s controlled by your mind; whether it’s rationale protecting you, or if it’s just the fear talking. On the final stretch, the day’s early sun had me feeling like a dehydrated prune. I was now without water and couldn’t face eating the solid food I had left. I’d somehow lost the rest of my gels, and, with a faint head and the flutter of a palpitation every few minutes, was reminded of the reality of my own body. My limbs are not a machine; my heart is something I need to respect, particularly in the heat. My strain subsided as the last chalky under footing was in sight, as well as spotting Sean in the distance. He kindly took my bag and on we went, before he passed me over to Fred. With about 2 miles to go, we ran, I panted, and, despite his look of sheer confusion, we managed to sing a few lines of Eye of the Tiger, belting it out with the countryside as our audience. A welcome boost to get me to the finish line grinning like a sunburnt Cheshire Cat. 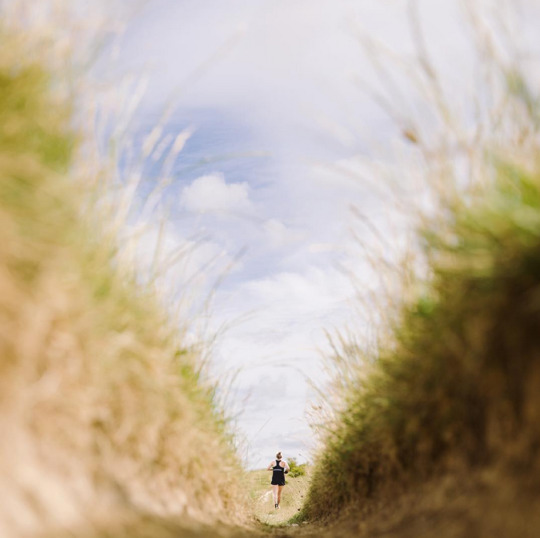 From my own experience, to the elated experiences of each of our ladies on separate parts of the Ridgeway, what we each accomplished spans much further than the motion within our legs. In order to realise our capabilities in a life that may not persistently demand them, you often need a route to do so, ours happened to be the oldest path in Britain. The moments contained in the months that lead up to Race to the Stones, with the women I met, the instances of weakness we overcame, and the miles we travelled, will stick with me until I grow old and grey. 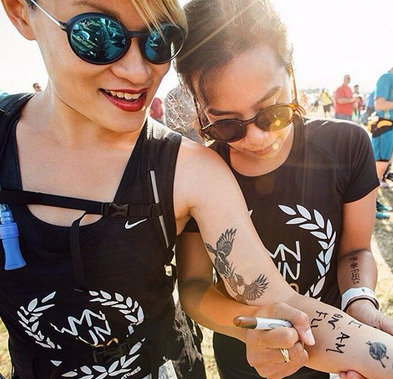 This race was a permanent marker for me, in showing that we can all get further in life by doing so together. With one adventure down, and the impossible made possible, it’s time to get plotting the next one.